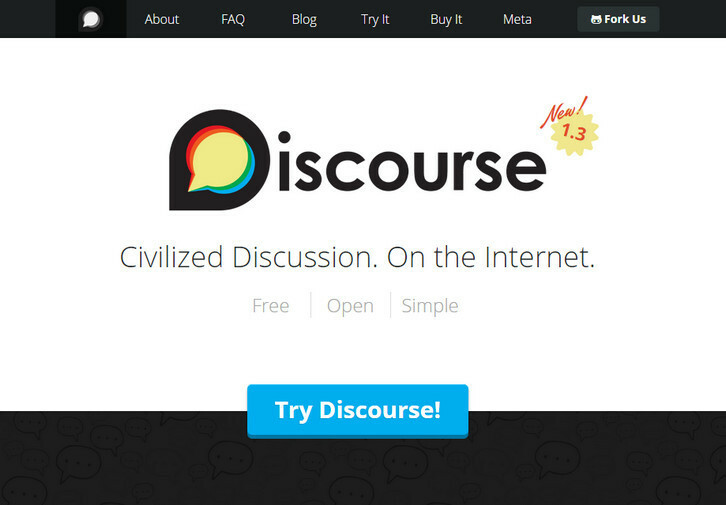 Discourse is the 100% open source discussion platform built for the next decade of the Internet. It works as: a mailing list, a discussion forum and a long-form chat room. Why break conversations into awkward and arbitrary pages, where you have to constantly find the Next Page button? They’ve replaced all that with the power of just-in-time loading. Want to read more? Keep scrolling down. When someone quotes your post, they’ll notify you. When someone mentions your @name, they’ll notify you. When someone replies to your post… well, you get the idea. And if you’re not around, they’ll email you, too. Reply from anywhere. Discourse is a simple, flat forum, where replies flow down the page in a line. Expand context at the bottom and top of each post to discover the full conversation – without breaking your flow. You can even expand quotes.